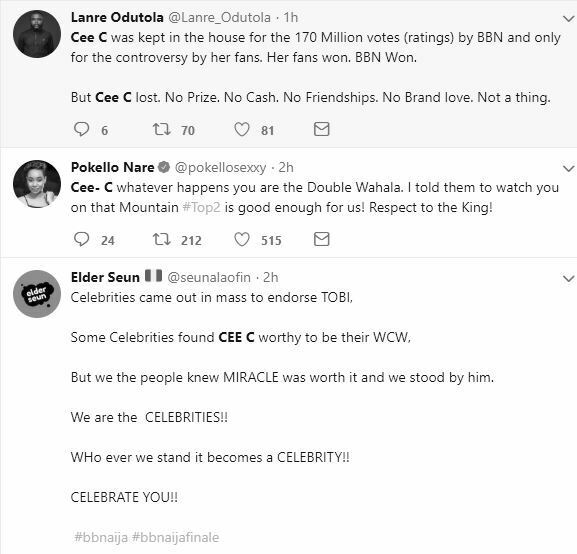 There has been noise and jubilation. 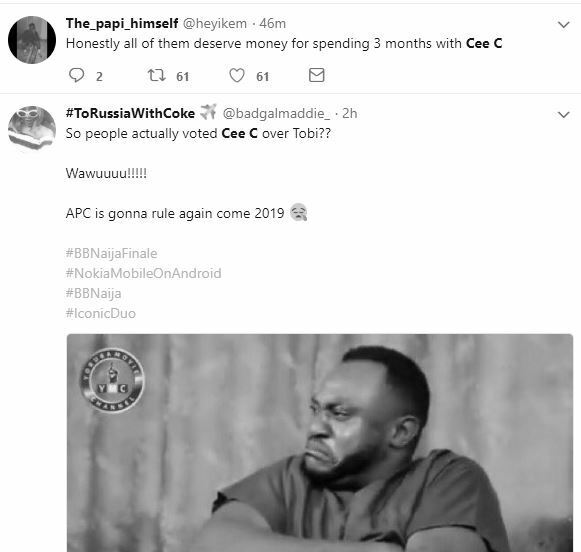 In reality one would think Arsenal just won premiership but it was Miracle emerging winner of BBnaija and Cee-c been the first runner up. 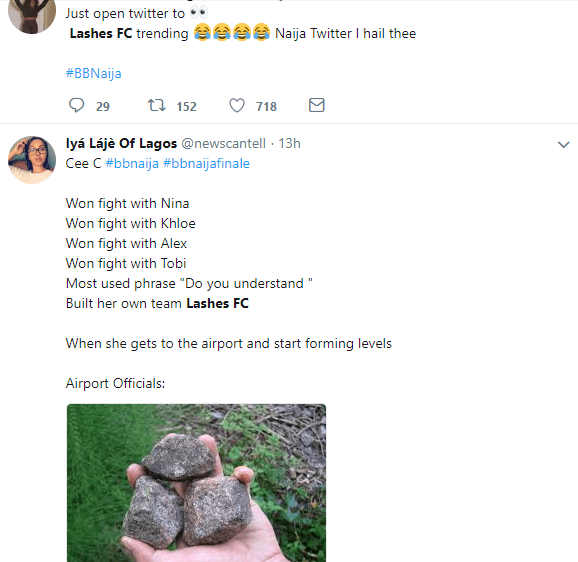 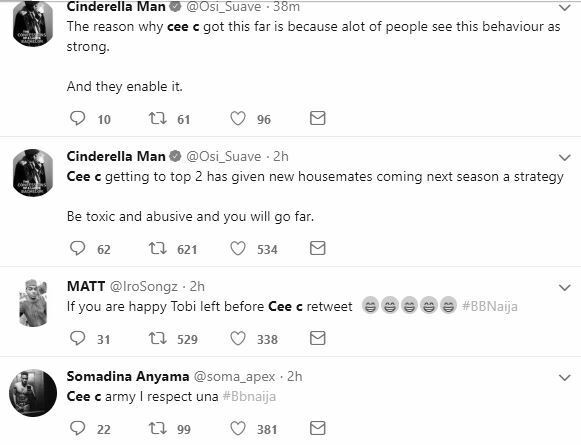 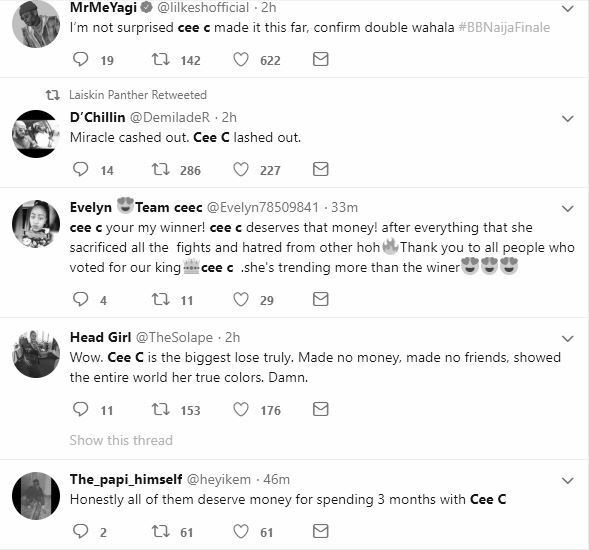 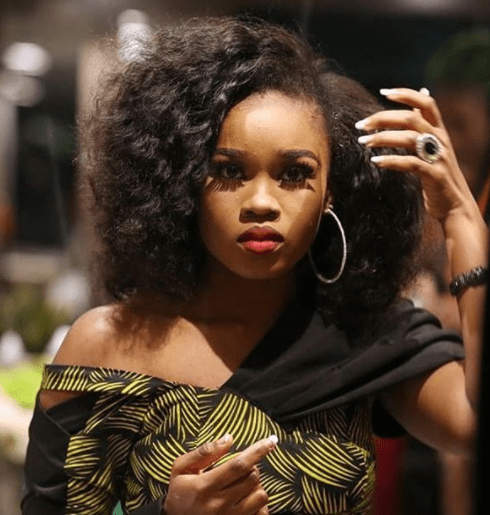 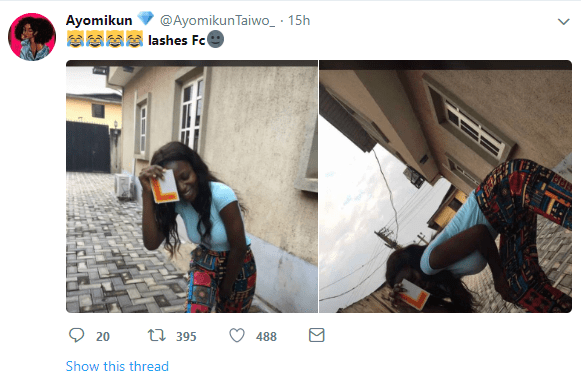 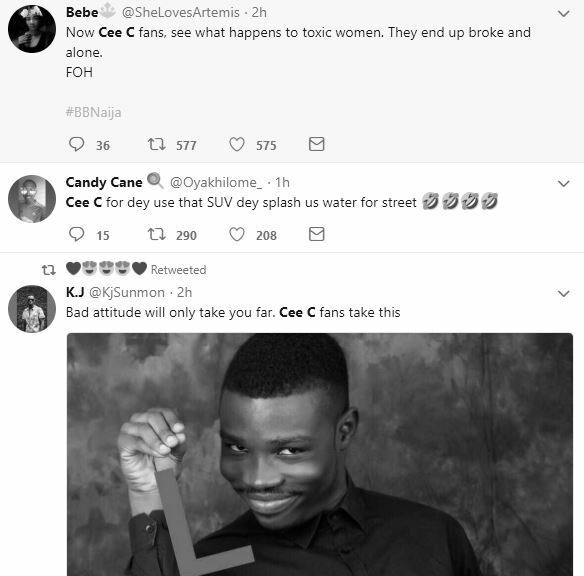 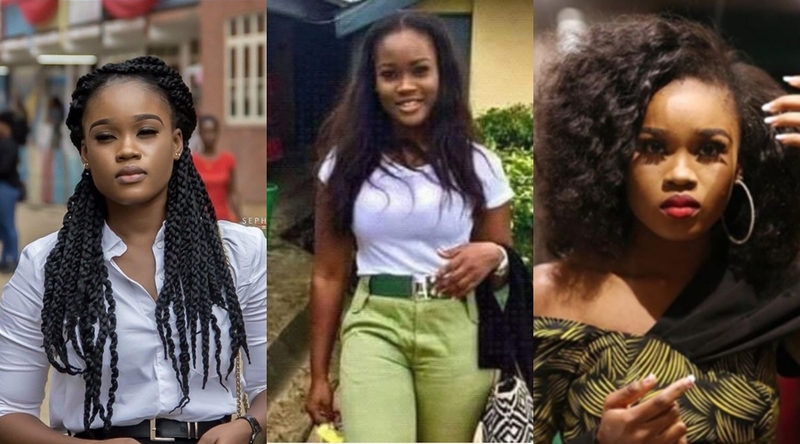 Some Nigerians were surprised that viewers actually voted Cee-c over Tobi.